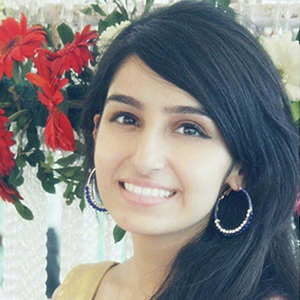 Gunjan was born and brought up in Dubai until she moved to India at the age of 15. Passionate about helping people, she completed her Bachelors In Psychology from Jai Hind college in Mumbai. It was in college that she started working for various NGOs like U&I where she taught kids English for a year, joined Teach for India as a campaign leader, and Aatma Prakash ( a Mental health NGO) as a volunteer. She also started a kindness organisation in her college along with her friends called Ripples of a Revolution as she believes kindness is what the world needs the most. Yoga and meditation have played a major role in her life since the age of eight. She believes that the inner growth of a person can help them manifest their reality. Her love for the environment has also led her to join zero-waste communities in Mumbai. She believes sustainability is important and that it is time for us to love and care for the environment before it gets too late. Amani for her is the stepping stone to help her spread more awareness about sustainability and how each person can do their bit.